Each of the three pillars of productivity play their role in streamlining your business’ operations. The first, engagement, facilitates a two-way dialogue and sharing of information. Integration helps to make your business and its systems better connected to streamline key tasks and ensure all data is accurate. 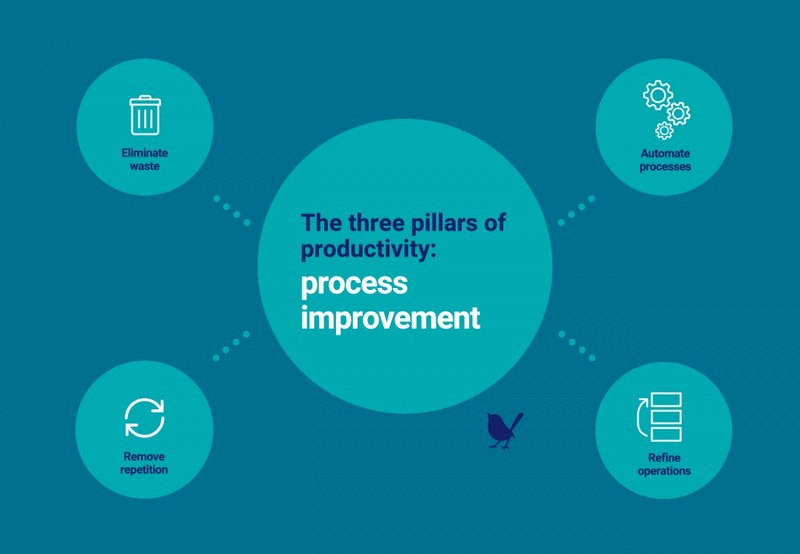 The third pillar of productivity is process improvement. This involves using digital technology to make your processes as efficient as possible, as well as improving your ability to collect and act on key data. Improving processes can eliminate waste, refining the way your business operates. This frees up your most valuable resource, your people, allowing them to add genuine value to the business, rather than undertaking repetitive tasks. Improving processes often involves harnessing labour-saving tools and automation. Analysing where they are needed and looking for ways to improve process instils a continuous improvement culture throughout your team. You can monitor the success of these changes by collecting performance data. Not every change will revolutionise your process, nor are all changes guaranteed to work for your business; you’ve got to be prepared to try something different if it doesn’t work. To get buy in and create positive change for your business, make sure you track the key areas of performance improvement. By measuring the business-critical processes and their outputs, you can continue to move your business forward. Does your methodology promote productivity? Sometimes altering your methodology is what it takes to unlock your team’s productivity. At Blue Wren we use Scrum, a form of agile project management. Switching from waterfall project management to Scrum saw huge process improvements for us. It boosted our productivity through improving project visibility, elevating communication and encouraging collaboration both within our team and with our clients. Removing blind spots in projects and improving communication helps your team become more engaged and facilitates the spread of information. Being able to do this represents a significant improvement to both your process and productivity. To truly create positive change, your team must first buy into your vision. If they don’t also challenge the idea of “business as usual”, potential improvements can be met with resistance and fail. But it needn’t be a process overhaul. Even small changes can bring huge improvements. Simple project management tools, like Trello, can promote collaboration, communication and improve project visibility. Whether it’s tagging someone in a task or being able to clearly visualise your to-do list, Trello helps to clearly define the task ahead and keeps all stakeholders in the loop. Another useful tool, Doodle, facilitates quick decision-making. It’s easy to go back and forth via a string of emails to arrange a meeting, but this inefficient approach needn’t become the norm. Doodle streamlines the process by sending all relevant people an online calendar on which to tick availability. So, what once took hours to compare diaries via email, negotiating locations and times, now takes minutes. Simple as these tools may be, they alleviate elongated processes and offer ways to significantly boost productivity, one inefficiency at a time. What processes currently operate in isolation? How open is communication and is it two-way? Which processes take up the majority of your time? 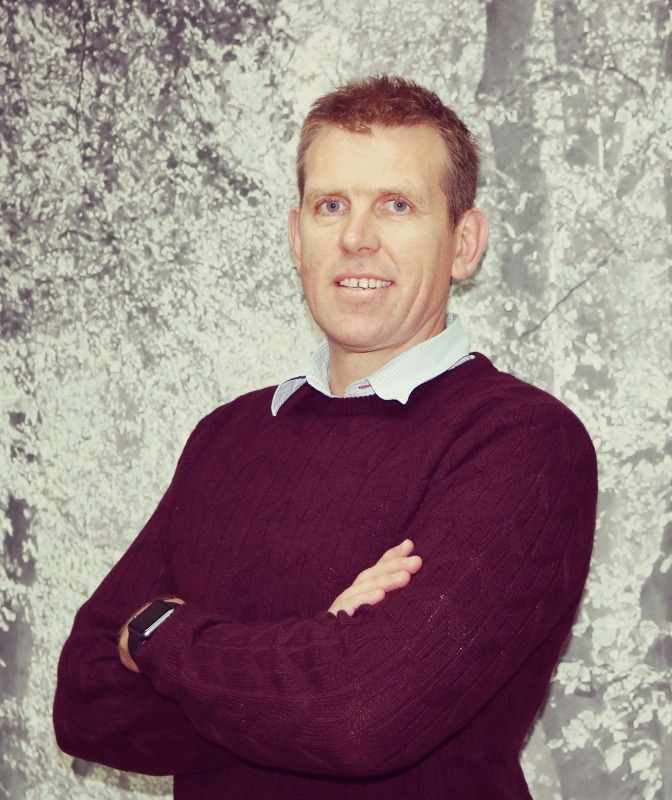 Don’t let restrictive processes dictate your business’ growth. Reviewing operations helps your business identify processes suitable for automation, whether that’s auto-populating documents or automating notifications. Each automated task frees up a team member. By removing any blockage limiting your performance you unleash your capabilities and unlock your business’ potential. 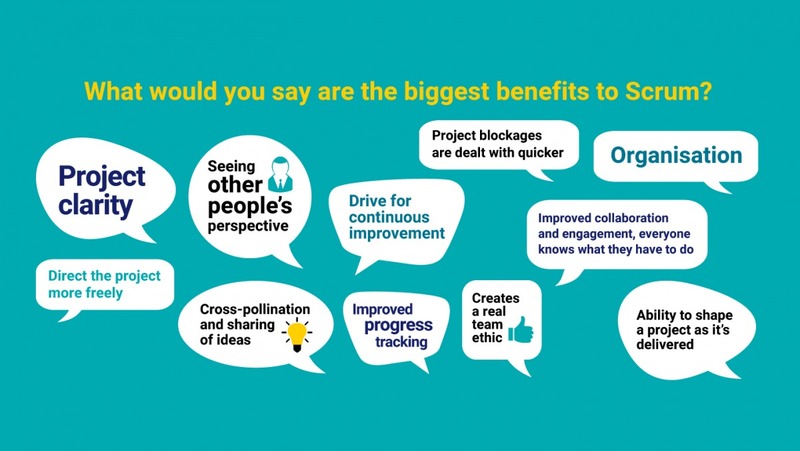 So, whether it’s boosting engagement, integrating systems or identifying process improvements, if you would like to discuss how your business can improve productivity, get in touch.